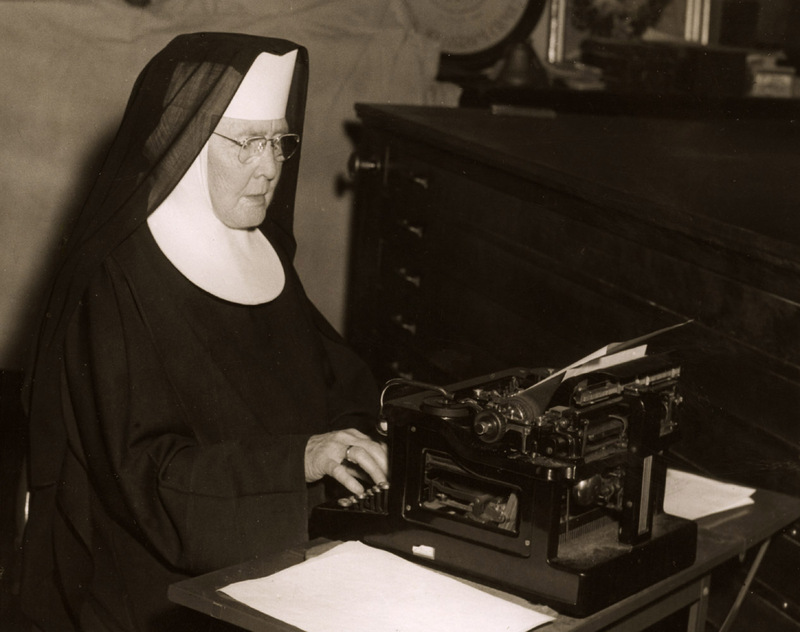 Saint Benedict’s Monastery maintains a physical and digital archive for use by scholars, genealogists and the general public to learn more about the lives of Benedictine women in the 19th century to the present day. Inquiries should be addressed to sbmarchive@csbsju.edu. The archive staff uploads videos to our YouTube channel. This is an ongoing project, so keep checking back to learn more about the community’s history. You can also view digitized films that have been submitted to Minnesota Digital Library (Minnesota Reflections). The Archives is located on the lowest level of the 1983 addition to Sacred Heart Chapel. A receptionist in the Gathering Place directs visitors to the Archives. Monday – Friday: 8 – 11:15 a.m., 1 – 4 p.m. The Archives houses documents, photographs, sound and video recordings and motion picture film. 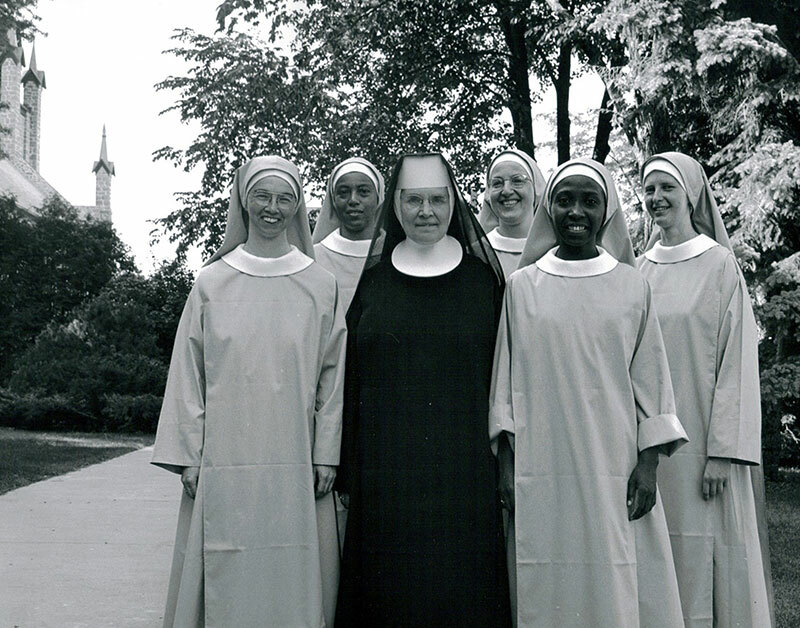 The ongoing oral history program has, at present, approximately 600 transcriptions of audio tapes of interviews with sisters and lay associates. 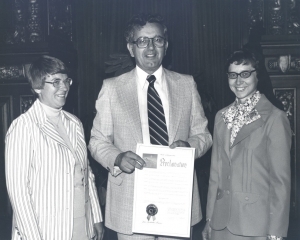 Sister Margaret (Leo) Schweiss (1932-2014) is shown receiving an award from Rudy Perpich, governor of Minnesota.